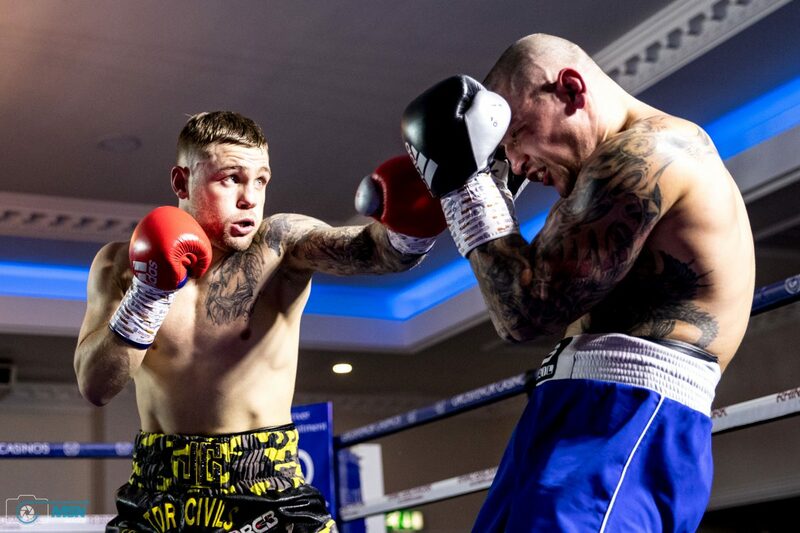 The main event had been delayed by over an hour after a scare for Solihull super welterweight, Jordan Clayton. 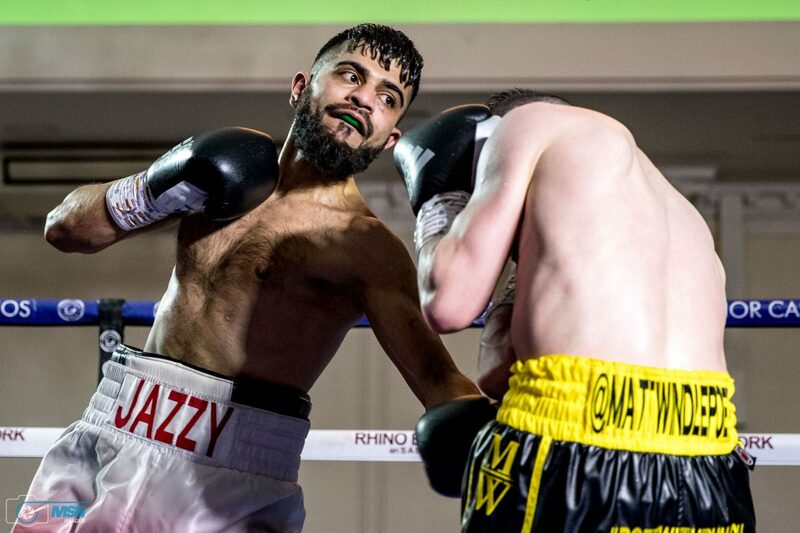 ‘JC’ required hospital treatment following his 57-57 draw with Czech Republic’s Jan Korec after looking out on his feet from the fourth round. Once the final bell tolled, Clayton looked zapped of all energy and required oxygen as he slumped on his stool. Thankfully it was exhaustion and he was given the all clear later that evening. 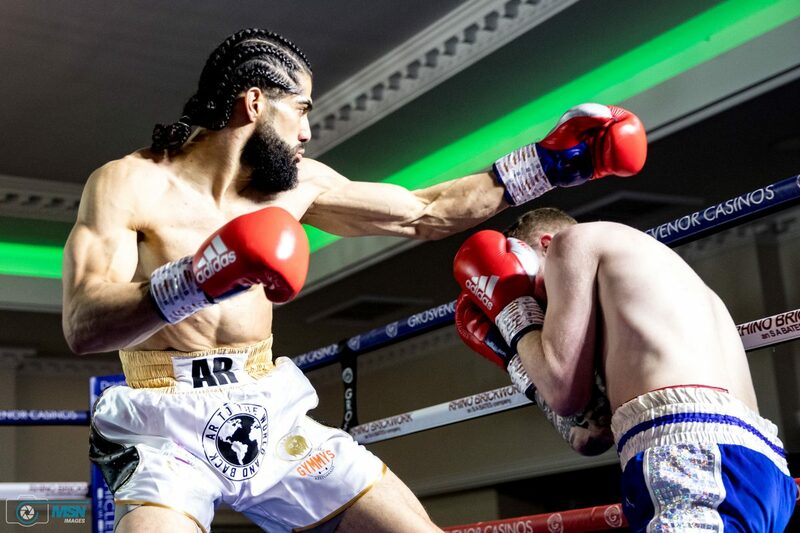 Fellow Birmingham super welterweight, Mussab Abubaker, dedicated his victory over Hyde’s Dale Arrowsmith to his brother, Abdul Rahman, who was gunned down at a BBQ last year. A boisterous crowd backed their man from first bell to last. Abubaker didn’t let the white hot atmosphere get to him though and put in a disciplined performance to record a routine 40-36 win. 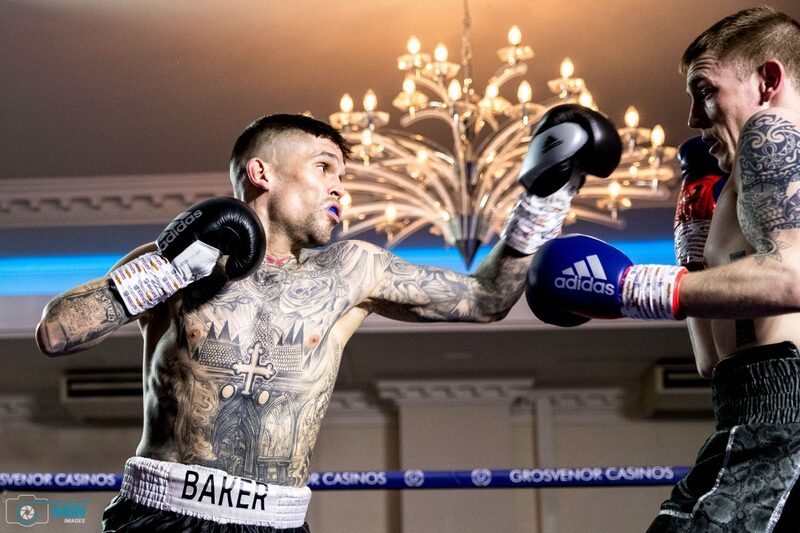 Midlands Area Lightweight Champion, Kane Baker, picked up another ‘W’. 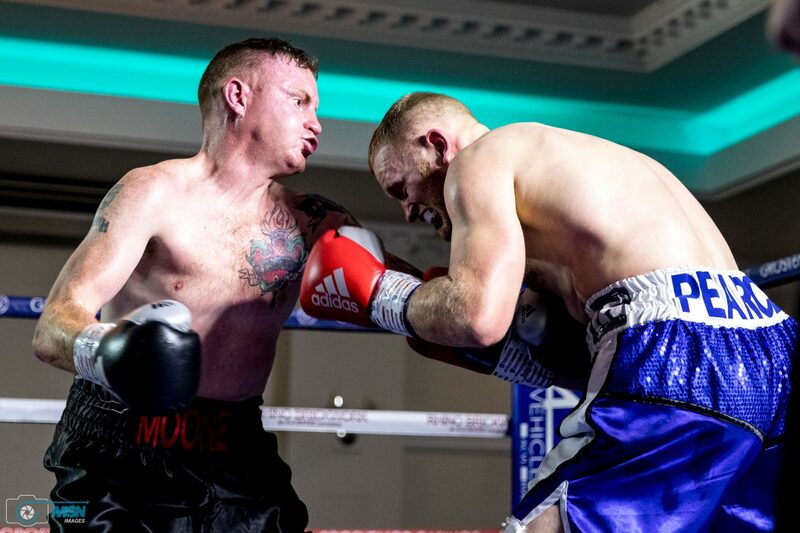 Rednall’s Daryl Pearce couldn’t build on his debut win last year as he lost to Worcester’s Michael Mooney. The ‘Mad Man’ picked up a deserved 39-38 win. Ever the aggressor, Mooney can be pleased with his first win since 2014. 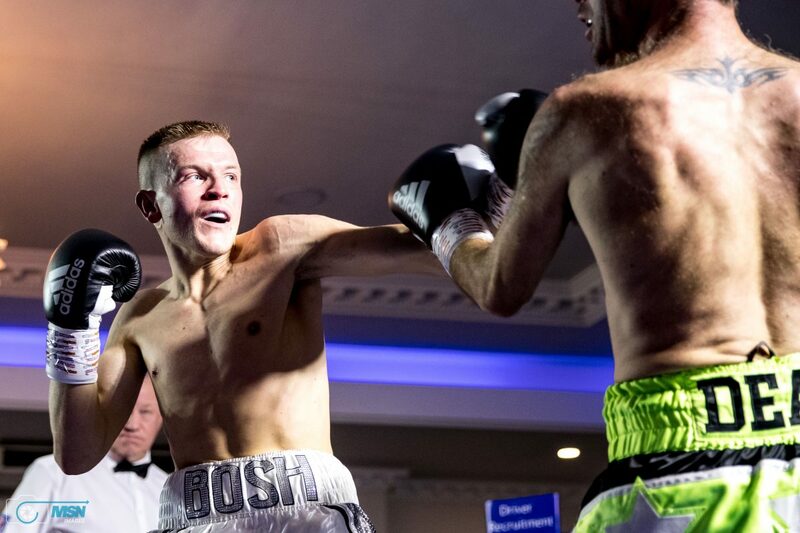 Brad ‘Bosh’ Thomas, who drew with Mooney on his debut last year, picked up another draw this time against Hereford’s Dean Evans. Thomas started well but Evans came on strong to secure a 39-39 scoreline stalemate. 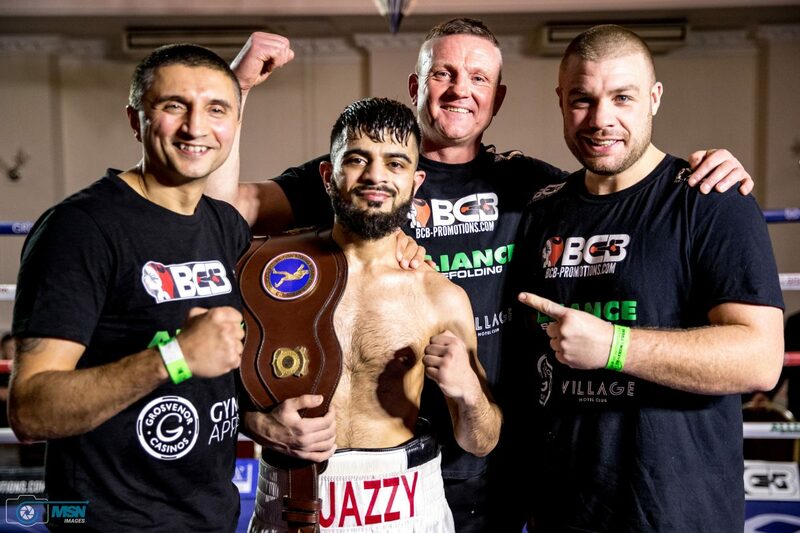 BCB Promotions are back in action in Stoke in April.